We are excited to announce the Otto and Verdell Rutherford Congressional Internship, an undergraduate internship opportunity to work with Senator Jeff Merkley and his staff in Washington, DC this summer! “Senator Merkley is offering a $5,000 stipend for a summer internship position, based in his Washington, DC office. The Otto and Verdell Rutherford Summer Congressional Internship provides an opportunity to an undergraduate student from Oregon who seeks to experience public policy-making up close and to further the causes of economic and social justice. This internship is named in honor of Otto and Verdell Rutherford, prominent Portland civil rights leaders whose efforts were key to the success of the passage of Oregon’s Public Accommodations Act in 1953. 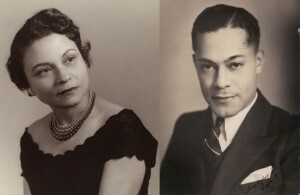 The Rutherfords held leadership positions in the Portland NAACP and worked with numerous community organizations throughout their lives. Portland State University Library Special Collections is proud to make the Rutherford Family Collection, a rich resource documenting the personal, political, and community life of the Rutherfords and African Americans in Portland during the twentieth century, available to the public.